You’re probably familiar with Arby’s. They’re a fast food chain that sells decent roast beef sandwiches and better milkshakes. They’re one of the more interesting relics of the mid-20th century fast food boom, since they’re the only one that never sold burgers or chicken sandwiches. Now, the magical disembodied voice that runs the chain has set its sights on gyros. 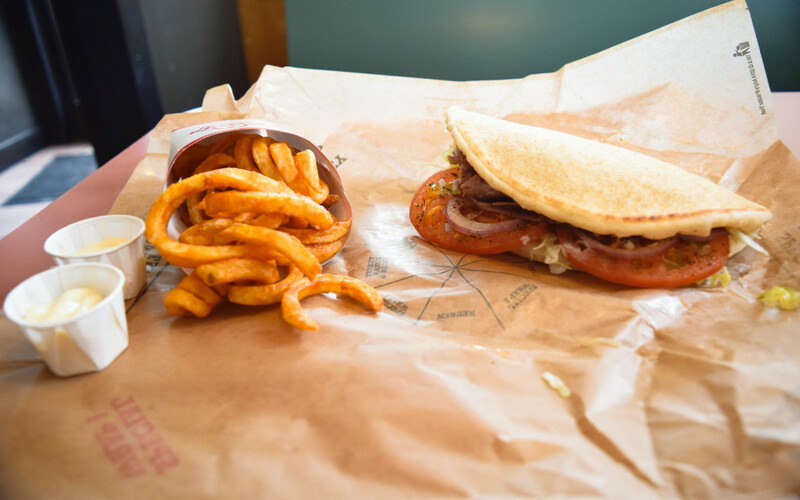 Arby’s doesn’t share many similarities with Greece. It doesn’t have sun-soaked shores or an economy-shattering recession. But perhaps that’s fitting, because Arby’s gyro doesn’t share much with the Mediterranean version either. It would appear Arby’s has given up trying to create a reasonable facsimile of the real thing, like they did with the New York Reuben. 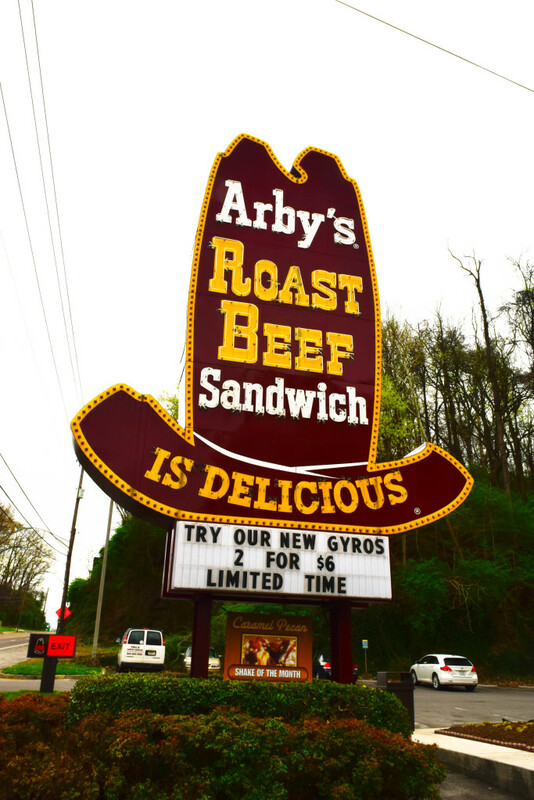 Instead of working out how to serve the enigmatic log of mystery meat that all gyros draw their power from, Arby’s made their gyro available in Roast Beef and Turkey varieties. Outside of this egregious violation of the gyro code, they’ve got the standard combination: lettuce, tomatoes, onions and tzatziki sauce on a warm pita. Nothing too unusual there. Admittedly, not too terrible. There’s not quite as much meat here as you would expect from the standard festival gyro, and the salad isn’t quite as fresh, but they’re reasonably reminiscent of one. The lack of mystery meat isn’t too noticeable, but the texture is completely off. That said, the elements are there. The pita’s soft and doughy, the tzatziki sauce is herbal, if a bit bland, and it’s one of the few items on their menu with vegetables. And unlike the gyros you buy at festivals, you know what’s in this one. It’s just not exactly the best gyro, but it qualifies. But perhaps I’m being too hard on the faux-gyro, perhaps I’m looking at it the wrong way. As a fresh take on the roast beef sandwich, it does okay. It’s just not the direction you would expect Arby’s to take. Truth is, the fast food industry is in flux. People are more conscious of what they eat; they want new things. The result is restaurants scrambling to keep up with demand, going all-in on bizarre new products that are more often disappointing than delicious. It’s like McDonald’s pushing health food, or Taco Bell claiming to be for “foodies.“ It messes with your preconceptions, not only of Arby’s, but of fast food as a whole. So Arby’s, real talk here. While you may have the meats, you might be better off sticking to the classics. You do a good job with roast beef sandwiches, so keep doing that. But trying to force foreign concepts into your menu won’t work when your model is so clearly outdated. Keep doing beef and curly fries, and leave the gyros to the food trucks. The Verdict: If you’re going to Arby’s, just grab a roast beef sandwich. It’s what they do best.